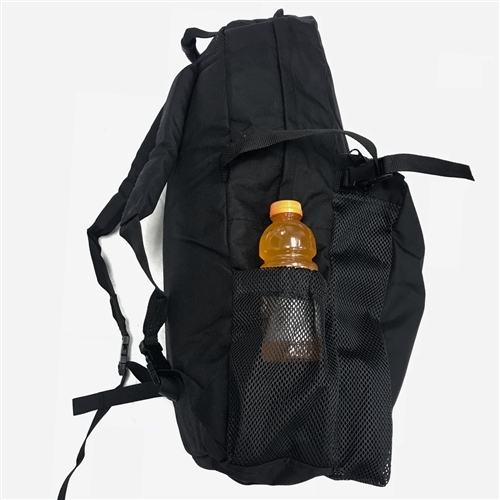 The best and long lasting minimal bag you'll find made just for underwater hockey and rugby. It will happily hold one pair of Mares Quattros or two pairs of carbon fins in the main pocket. The front mesh pocket will hold two sets of suits, gloves, sticks, and water polo caps -- all your wet gear. Two mesh water bottle holders sit next to the large mesh pocket. 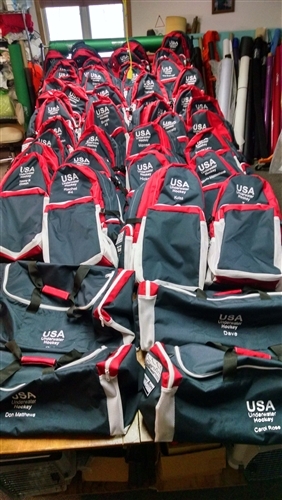 Northern Attire makes the finest equipment bags for our sport. 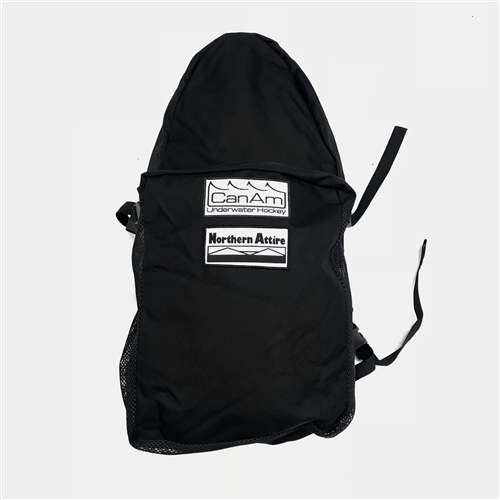 Made in the United States with big zippers and the best materials available, this comfortable back back will last far longer than other dive bags on the market. 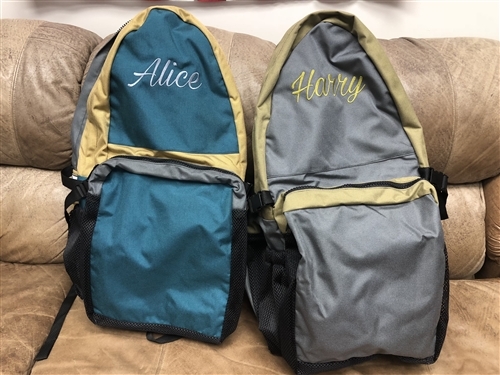 Custom colors and embroidery available for a $15 charge, and may take up to six weeks to make. 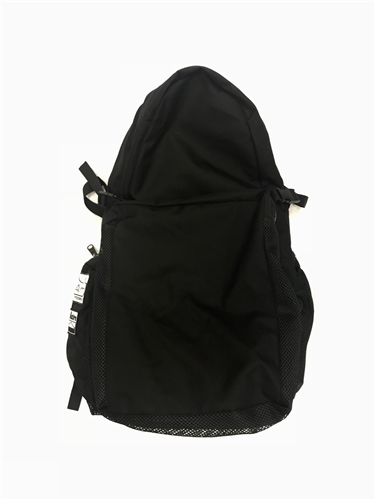 Otherwise black bags are in stock and ready to ship. For a larger option please see the Northern Attire Tournament Bag. - Main compartment dimensions: 27.5" x 14" x 6" Free Shipping in the USA, other countries add $15.00.